I’m not sure anything moves my heart like watching my children be generous. Whether it is sharing a toy with their friend or deciding to play the other person’s choice of game, it moves me! But we must be honest with ourselves: Generosity is not natural behavior. Among our first words are the dreaded “No!” and “Mine!” along with precise timing to exact maximum frustration in the lives of our parents and siblings. Live it in your own life! Children imitate their parent’s behavior – both desired and undesired! This is THE KEY to developing generosity within your children – be a living example of it. Invite your children to participate in your generous actions – giving to your church, volunteering to clean up your favorite hiking trail, attending a charity fashion show, and buying Christmas gifts for a family facing a tough financial situation are just a few examples. Let them be a part of it! Make giving part of their money management system. Every single time your child receives money (birthday, holiday, graduation, work, etc), require them to prepare a budget for every single dollar prior to touching any of it! Ensure the planning goes in this order: (A) Give, (B) Save, (C) Invest, (D) Spend – Let them choose (with your guidance, of course) who the money will be given to. Gratefulness can take hold of your heart and literally transform your entire worldview. It’s one of the greatest gifts my parents could have ever instilled into me! 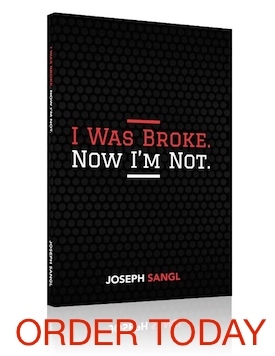 NOTE: This post was written as part of the “Kids & Money” series here at the wildly popular JosephSangl.com! Click HERE to access all of the tips in this series.